Randy Marsh Recieves Servass Memorial Award! Indiana Landmarks has just announced Hall Civic President, Randy Marsh, is the 2014 individual recipient of the Servaas Memorial Award! 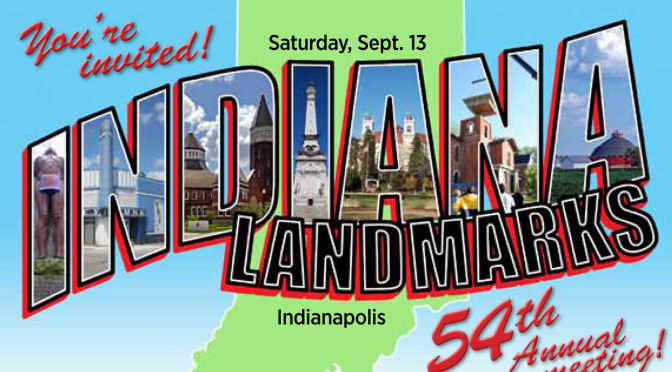 Indiana Landmarks just announced that this year’s award is being presented to Randy Marsh for selfless work in leading preservation organizations and working to restore landmarks in Morgan County This award will be presented at their annual meeting on September 13th at the Indiana Landmark Center at 1201 Central Avenue in Indianapolis, IN. Morgan county residents may attend but you will need to make a reservation. Please call 317- 639-4534 or 800-450-4534 to make your reservation. All residents of Morgan county are encouraged to attend this momentous occasion. Randy, said he is honored by this recognition and would like to thank Indiana Landmarks for this award. Randy is founder and president of the Hall Civic Association, which was established in 2004 for the preservation of the Historic Hall school house. Previous PostHall’s Haunted Halls – Call For VolunteersNext PostVolunteers Needed!